If you have never had this iconic Canadian dessert bar, well what can I say, I am so sad for you! Let’s fix that right now with this Keto Nanaimo Bar Recipe! What is a Nanaimo Bar you ask? Traditionally, it is a 3 layer no bake bar. The bottom layer is a chocolate coconut wafer concoction. The middle layer is a custard and the top layer a nice dark chocolate ganache. The Nanaimo Bar originated in Nanaimo, BC which is not too far from where I live. The first recorded Nanaimo bar recipe (according to the wikipedia) was in the Nanaimo Hospital Ladies Auxillary cookbook in 1952. 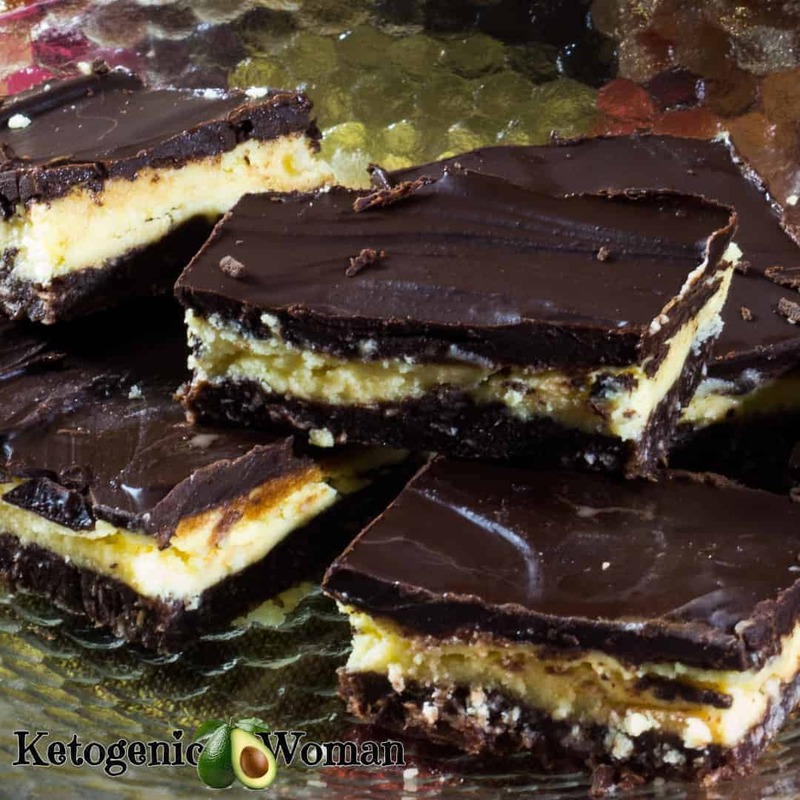 These Keto Nanaimo Bars are also featured in The 12 Days of Keto Christmas Treats blog post, which has more amazing Keto and Low Carb Christmas desserts. 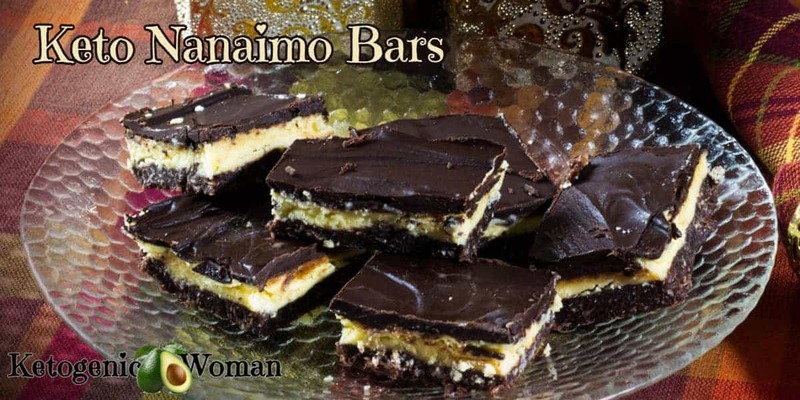 The two most important things you need to know about Nanaimo Bars? One, they are over the top delicious and a perennial favorite around here, and 2) They are actually super easy to make! So don’t be scared by the 3 layers! We Canadians eat these by the ton in my geographical location of the Canadian West Coast. 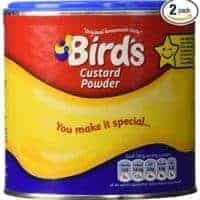 The local supermarkets sell giant slabs of it at Christmas. So it was real important that I make this into a Keto Nanaimo bar recipe or I’m done for! There’s no baking involved here which is always a bonus. You’ll just need a 9 x 12 casserole pan, because honestly there is no point in making a small measly pan of these. You’ll be just making it all over again, so it’s better to make lots just the one time. Besides, you can freeze these too. So now that you know what it is, let’s keto-fy this thing so I can have some at Christmas! Nanaimo Bars are a classic Canadian Christmas treat but honestly we find an excuse to eat them year round. This is an easy no bake recipe! In double boiler or heavy sauce pot on low heat, mix the butter, sweetener and cocoa powder until all melted. Stir in beaten egg slowly. 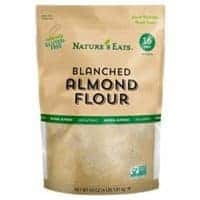 When mixture thickens remove from heat and mix in almond flour, coconut and cinnamon. Combine until it looks like a ball of dough. Press chocolate coconut dough into the bottom of a 9x13 pan line with parchment or wax paper. Place in fridge to firm up. 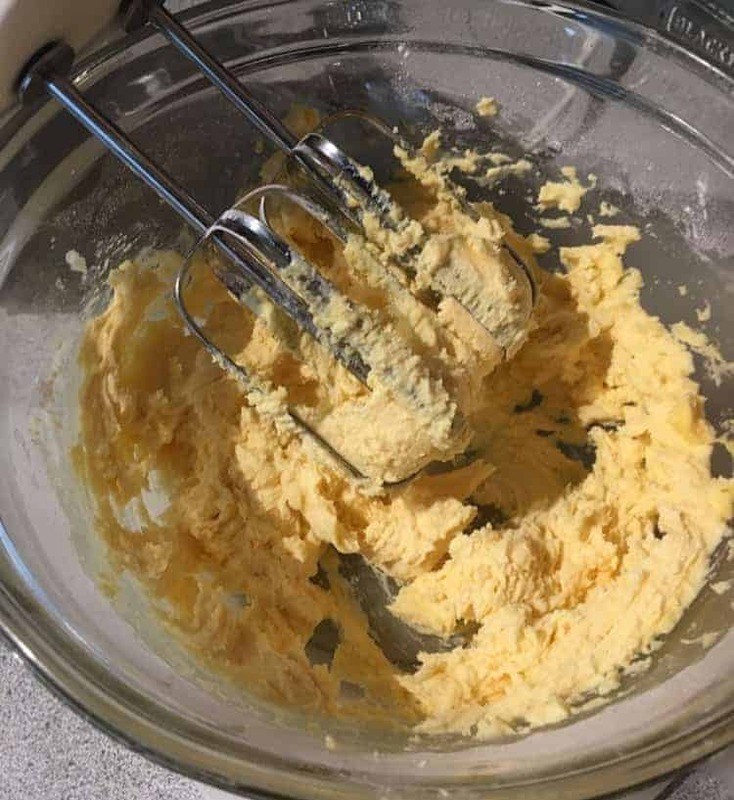 In heavy saucepan or double boiler melt the butter. Add in chocolate and sweetener. Stir until smooth and remove from heat. Allow to cool for about 10-15 minutes. You want it to still be liquid. Cover pan with clear wrap and place back in fridge for 2-3 hours. Tagged low carb chocolate recipes, Low Carb Desserts. Bookmark the permalink. Hi! I was just looking over the recipe. 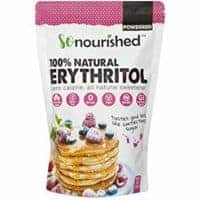 Sounds so delish! I noticed beaten egg added in bottom layer but listed in ingredients. You are correct and thank you for pointing it out! I have fixed it!